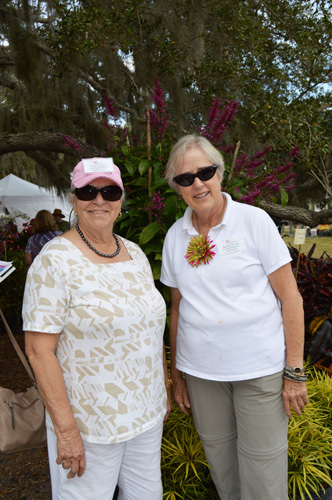 Vero News > 32963 Features > People > Plant-astic time had by all at glorious Gardenfest! 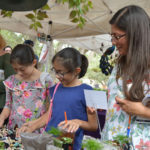 Plant-astic time had by all at glorious Gardenfest! 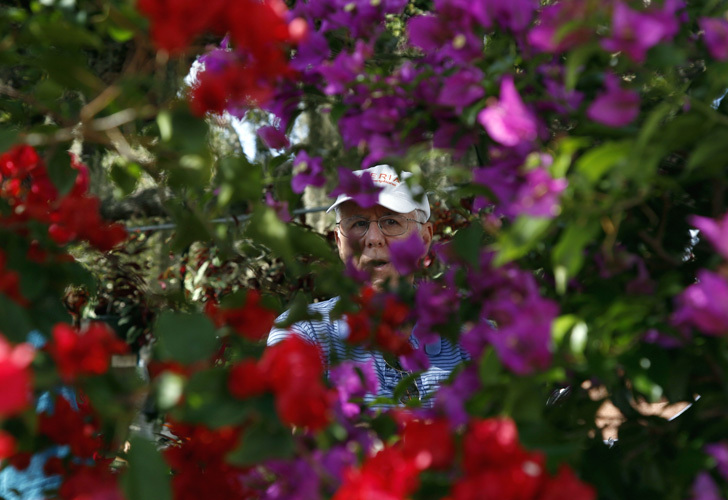 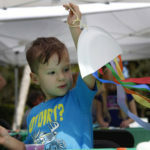 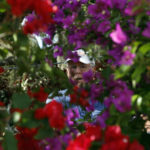 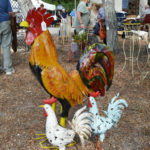 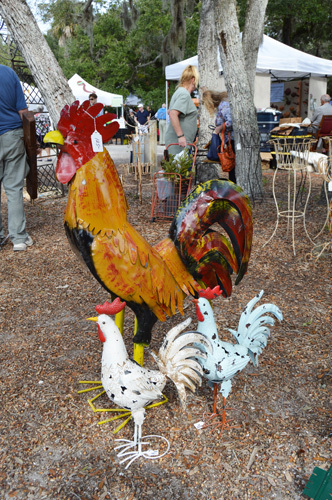 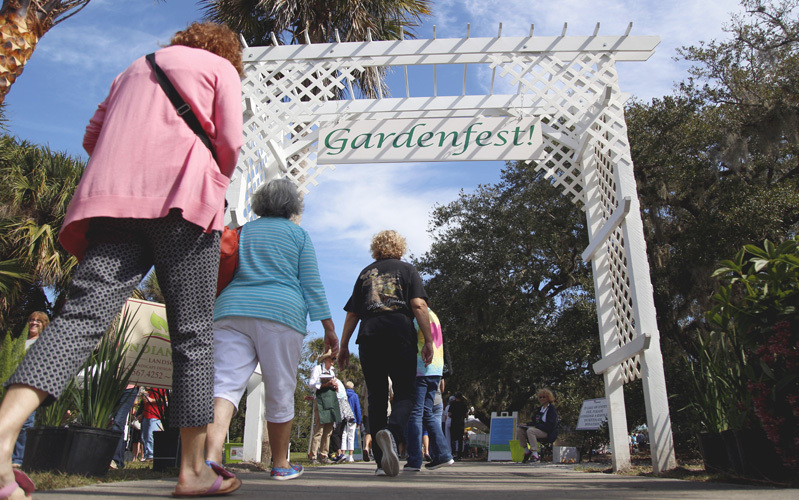 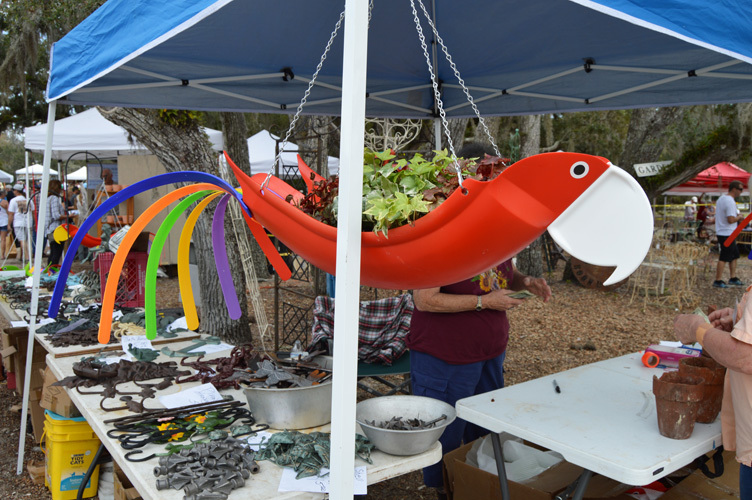 No groundhogs were needed here to declare an early spring – not when we have Gardenfest! 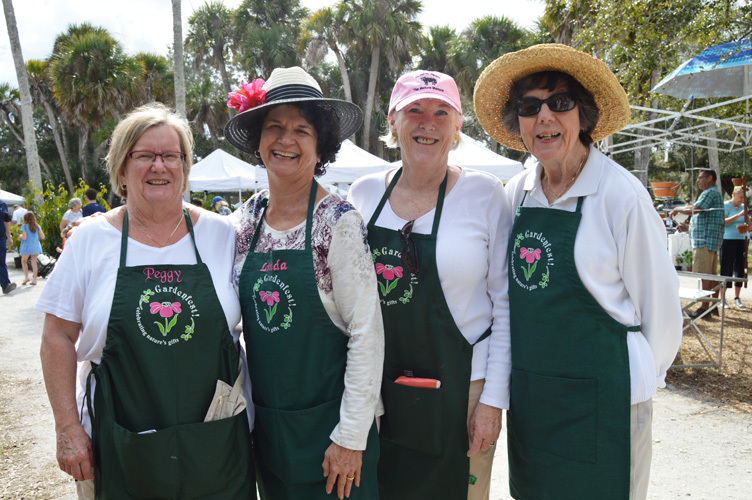 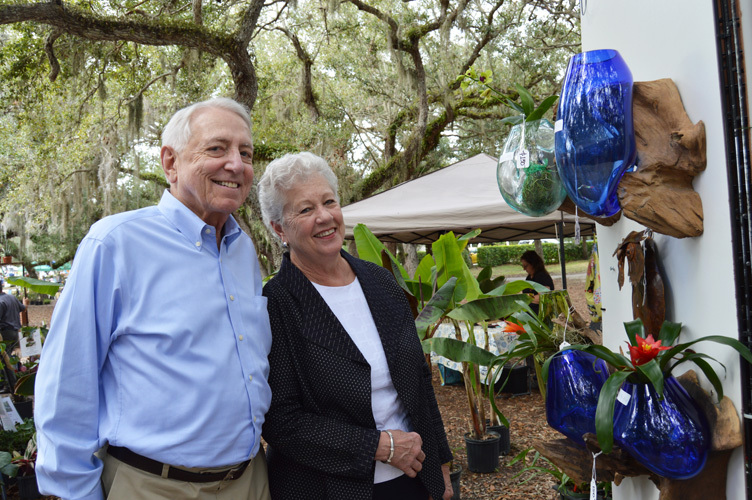 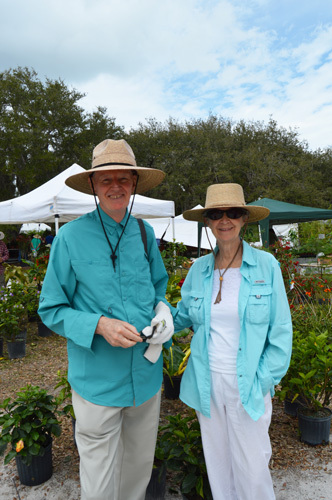 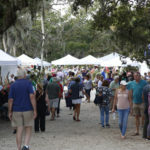 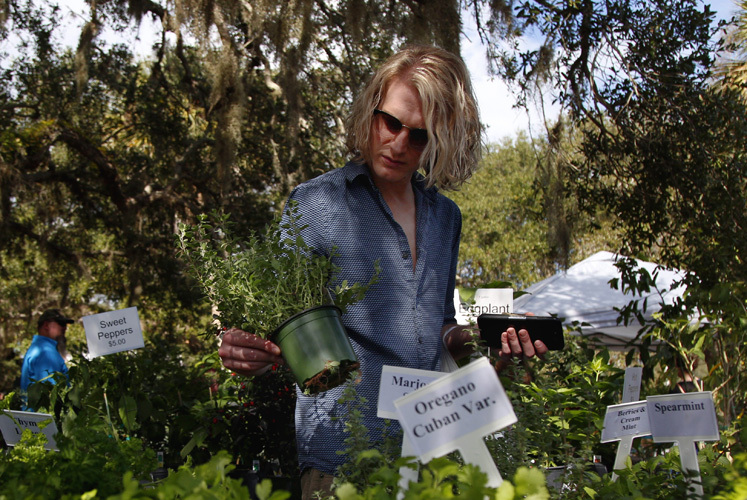 Nature’s Finest Marketplace, presented by the Garden Club of Indian River County. 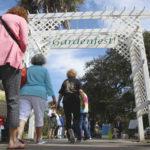 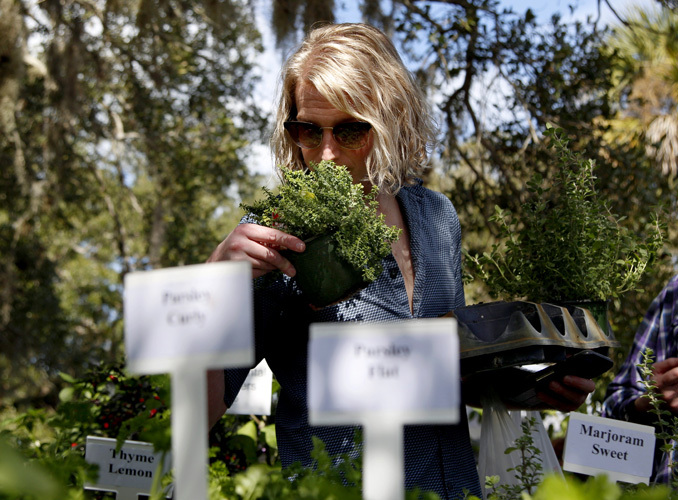 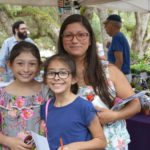 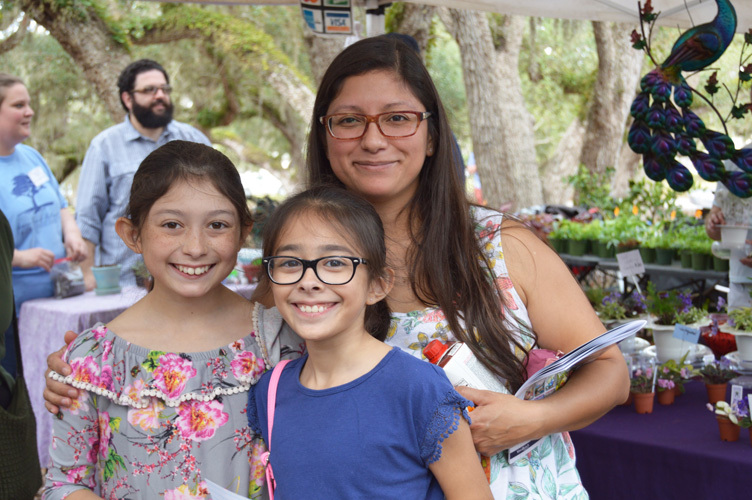 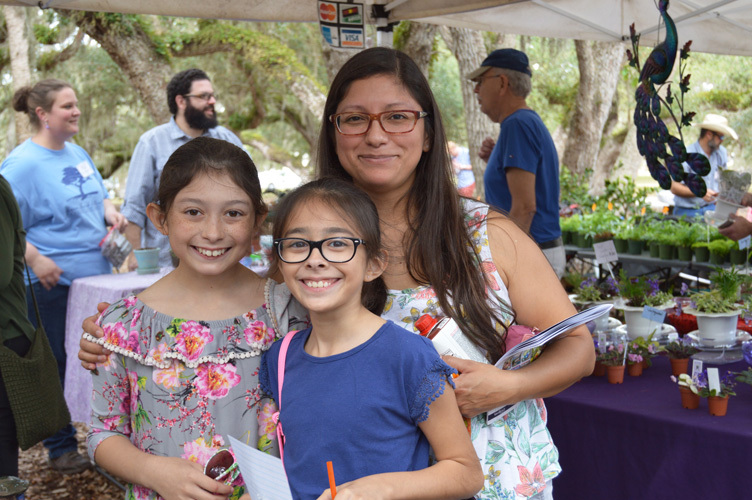 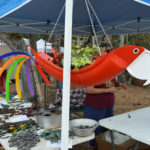 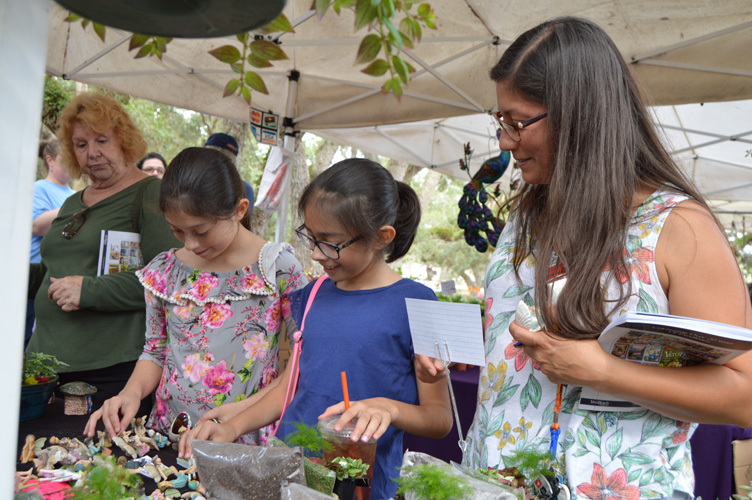 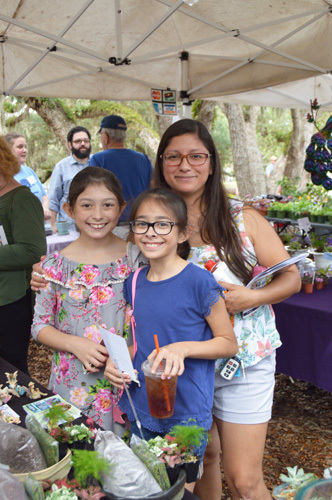 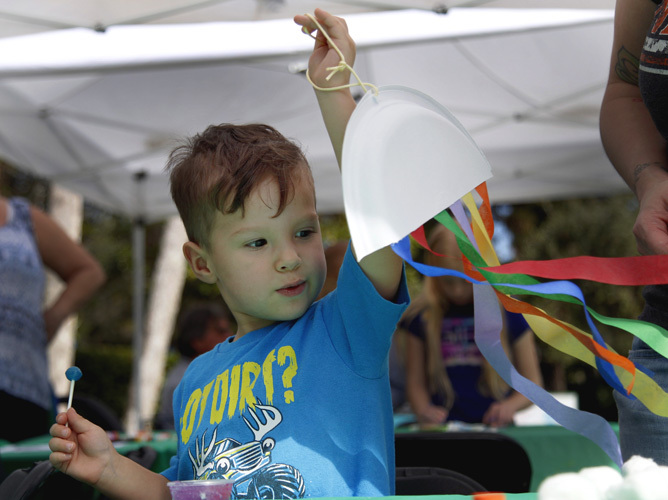 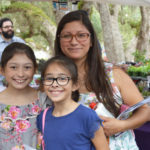 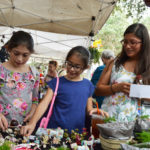 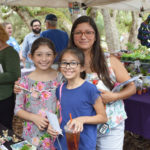 Spring was definitely in the air last weekend as thousands of gardeners flocked to Riverside Park to attend the 18th annual gardening extravaganza. 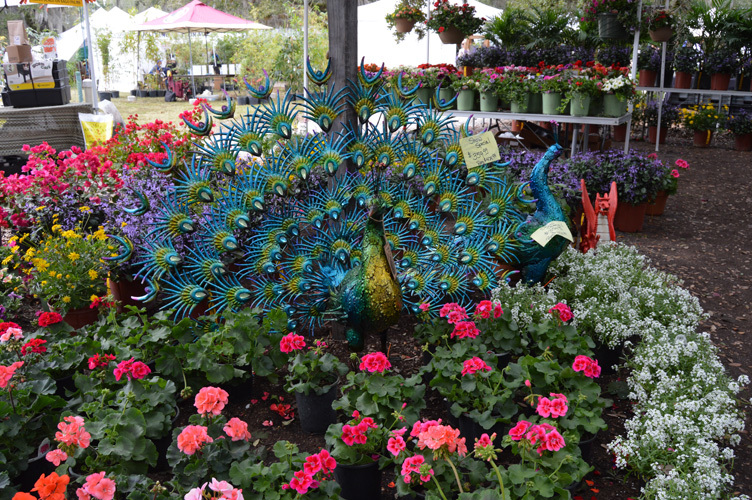 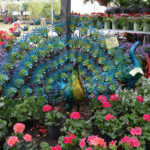 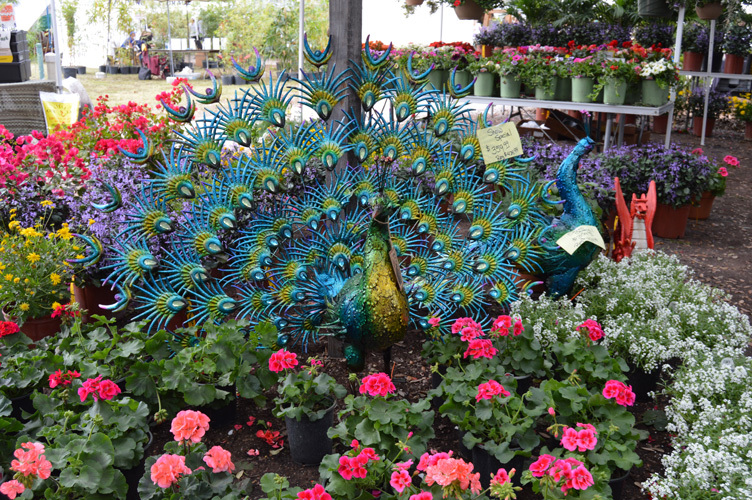 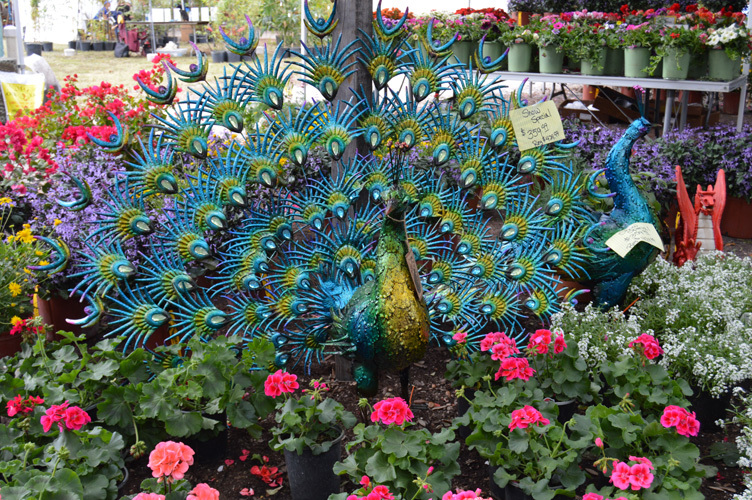 Bright sunshine and clear blue skies enhanced the sea of colorful blooms offered by vendors from around the state, lifting the spirits of visitors who walked shoulder to shoulder throughout the displays. 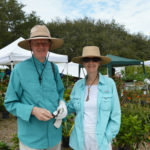 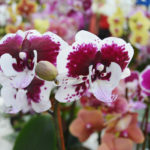 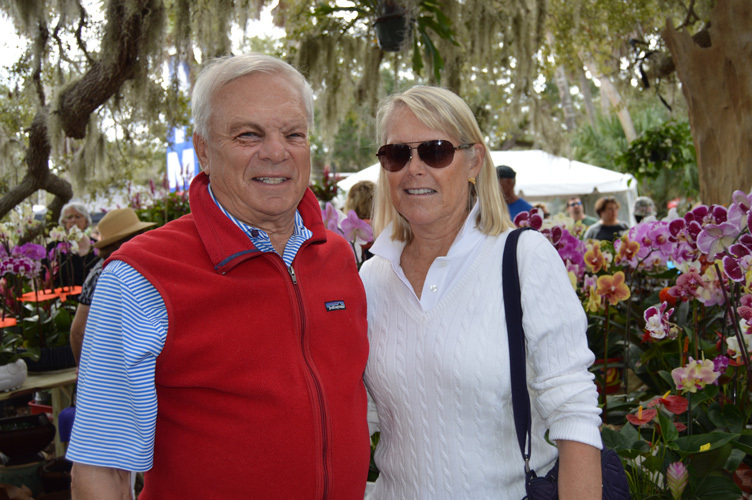 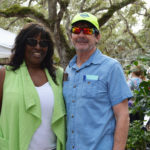 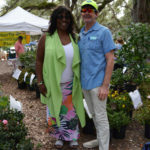 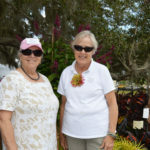 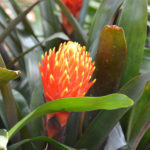 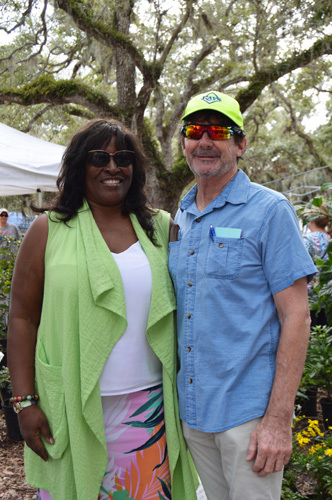 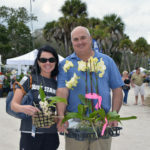 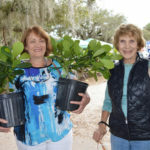 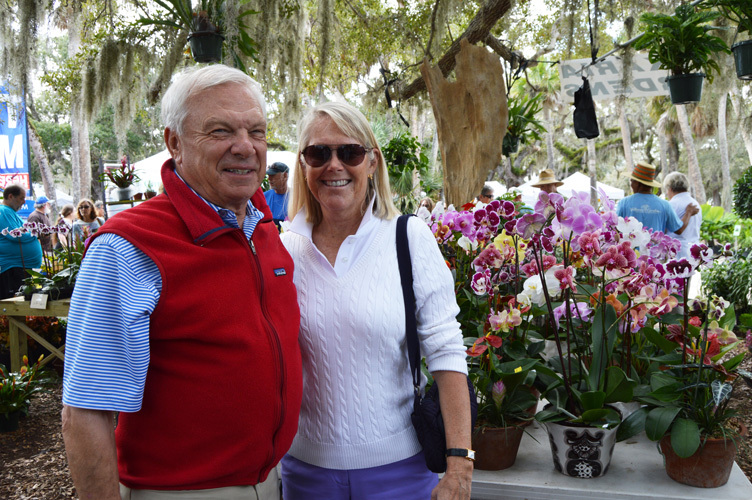 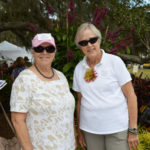 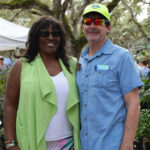 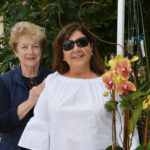 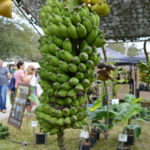 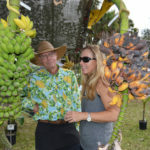 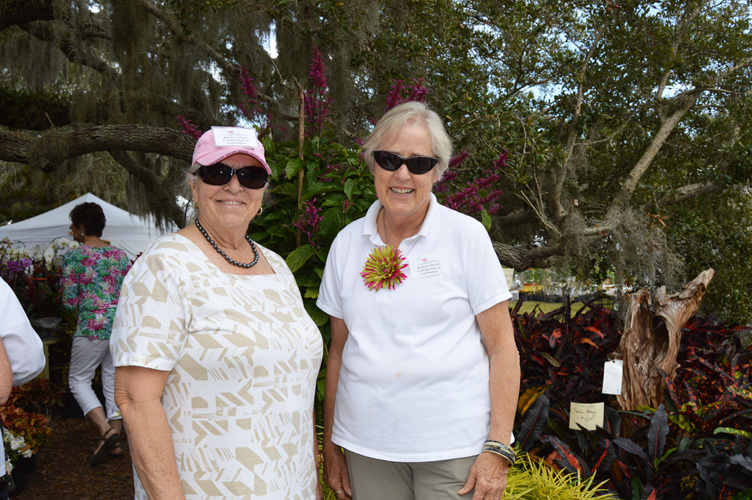 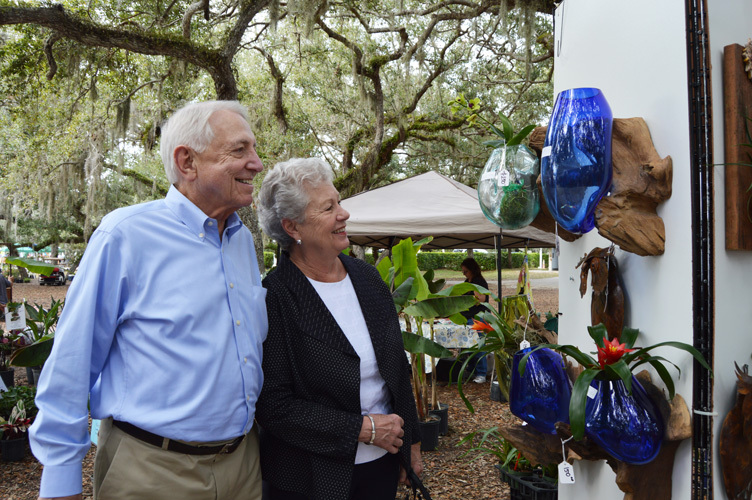 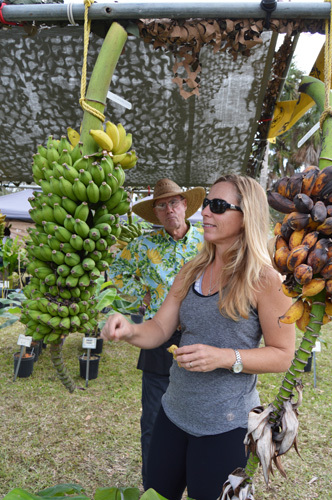 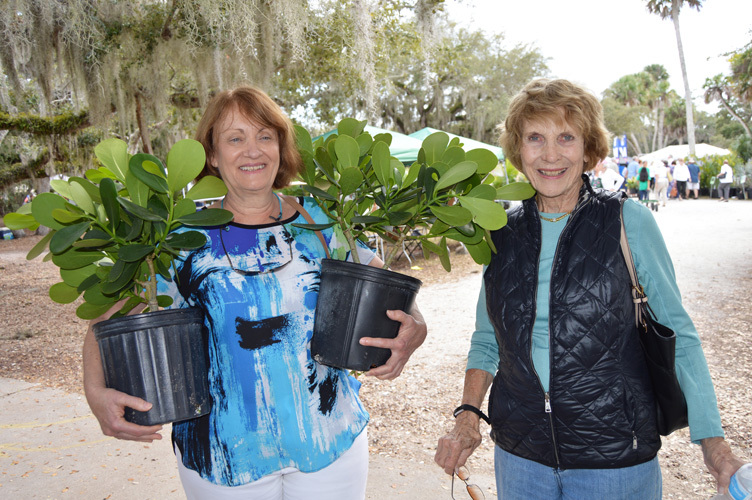 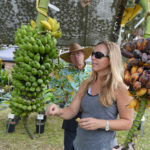 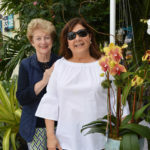 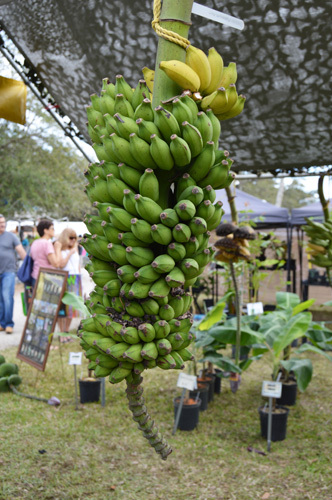 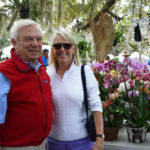 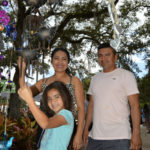 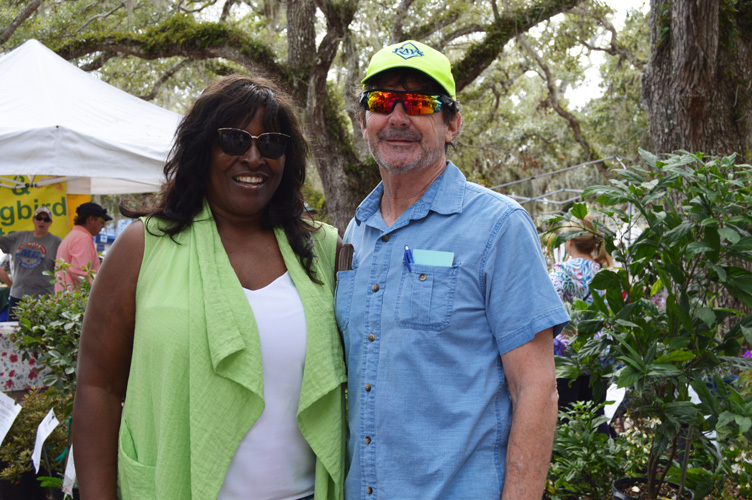 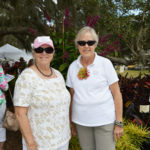 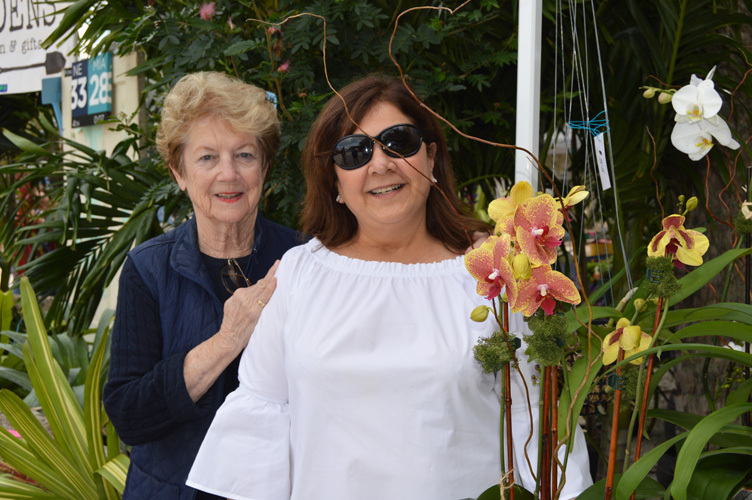 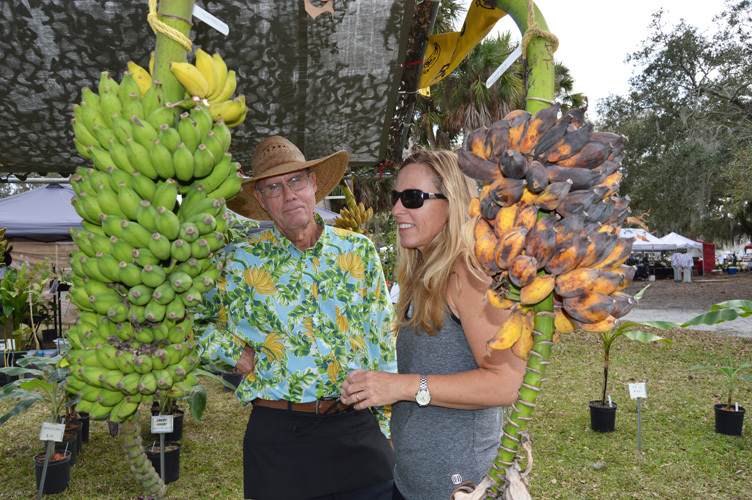 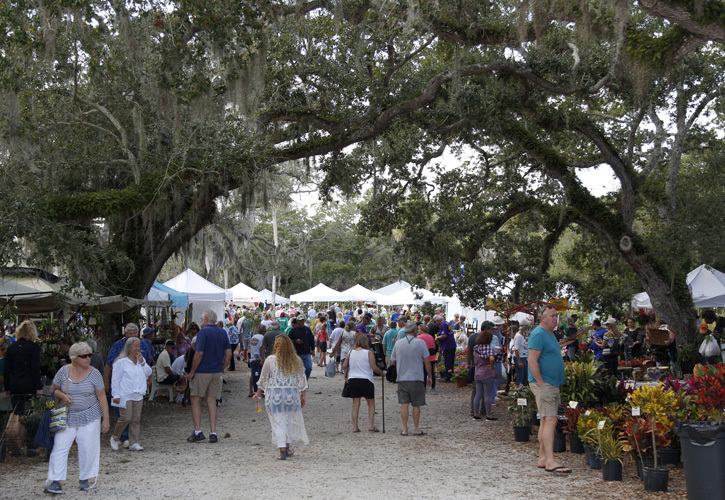 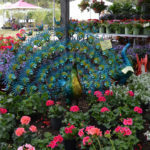 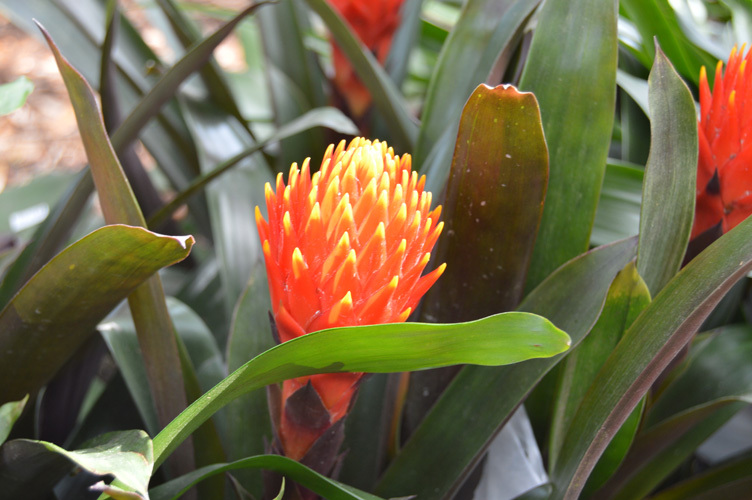 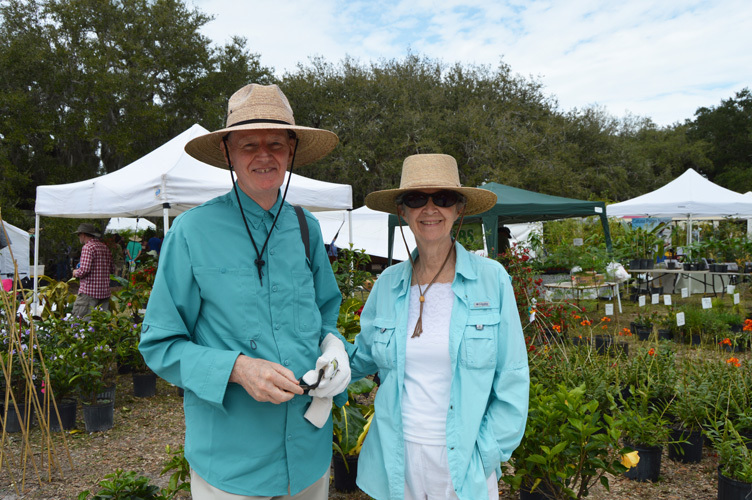 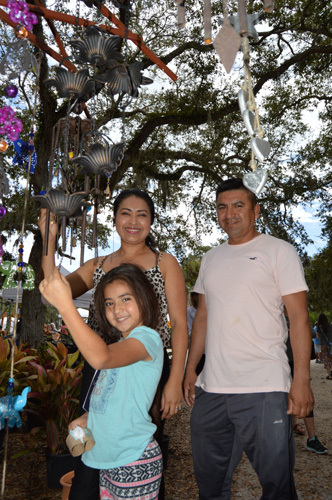 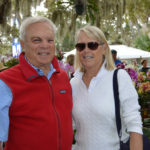 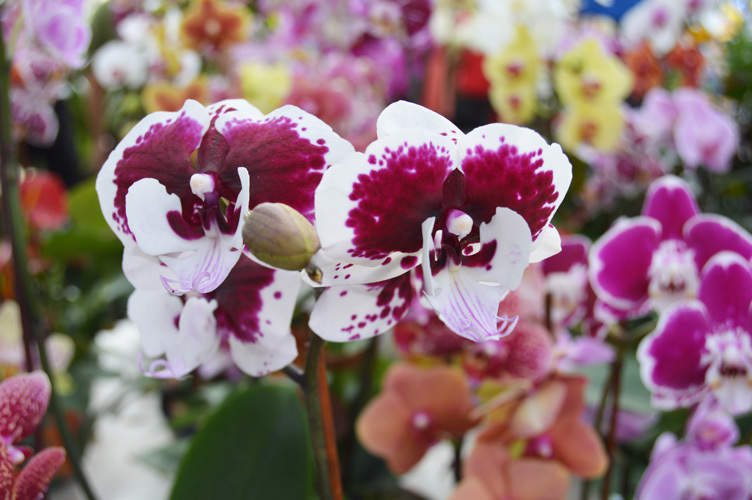 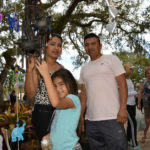 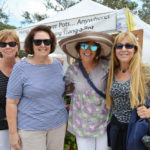 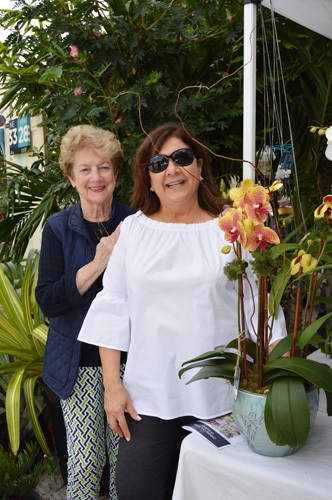 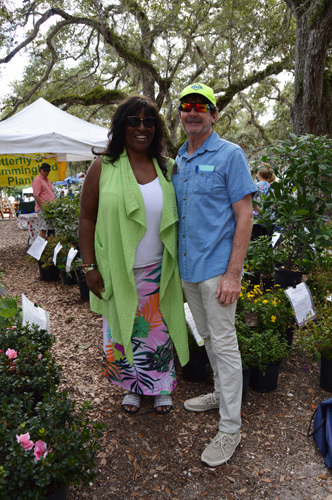 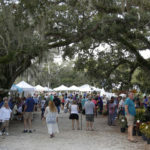 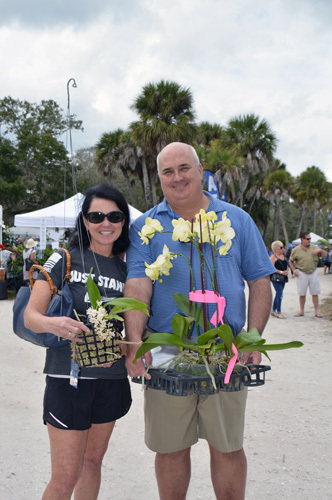 Numerous vendors offered an impressive selection of plants, including decorative palms and bamboo, Florida fruit trees, easy care succulents, brilliantly colored annuals, and aromatic gardenias and jasmine. 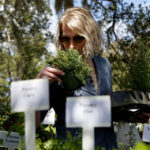 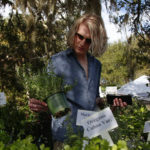 Chefs in the crowd were pleased to find nearly every herb imaginable, as well as a variety of hydroponic growing systems for patio gardening. 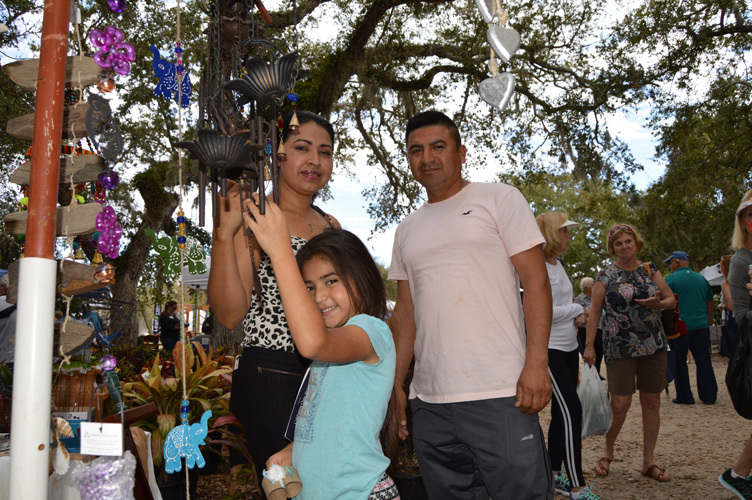 Even the lushest garden needs to be accentuated with statuary, lighting, fountains, pottery and furniture, and Gardenfest didn’t disappoint. 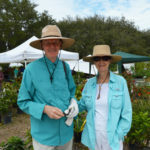 Visitors also enjoyed free lectures from experts on topics ranging from toxic plants and pruning, to backyard beekeeping. 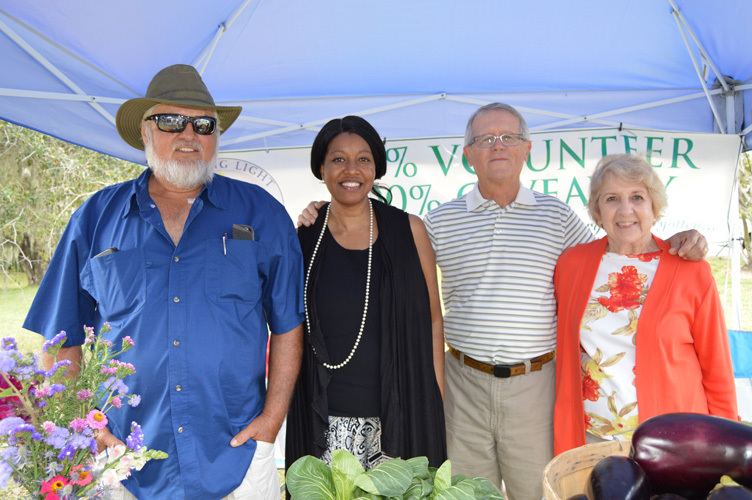 Volunteers from the Shining Light Garden Foundation proudly displayed samples of the fresh garden vegetables they grow to donate to those in need. 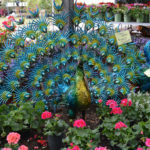 Susannah Wagner Merritt from Richmond, Va., took advantage of the lush environs, setting up a chair to work on a lovely colored pencil drawing of the spectacularly staged plants and planters. 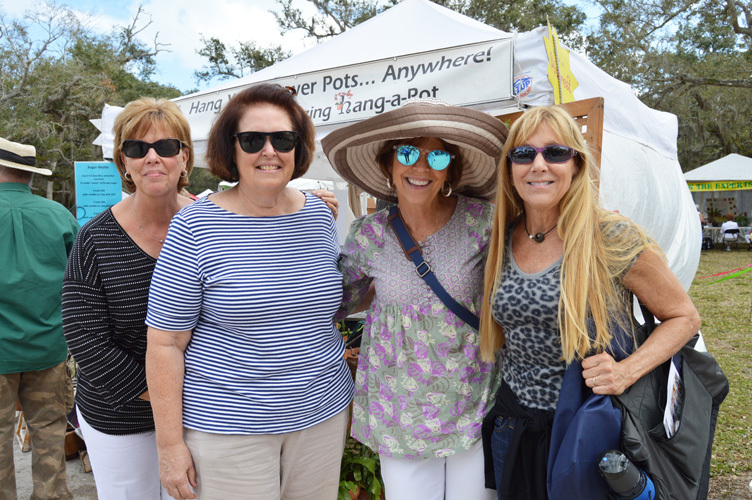 Others took a break from their shopping to enjoy lunch from assorted food vendors, relaxing under the shade trees while pondering their purchases. 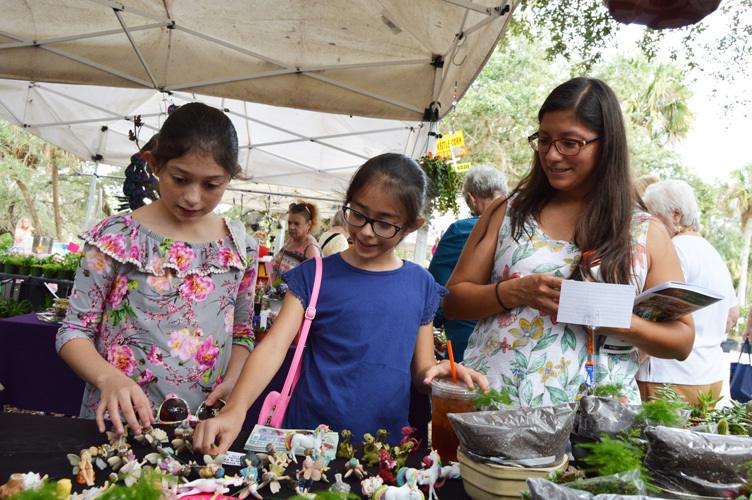 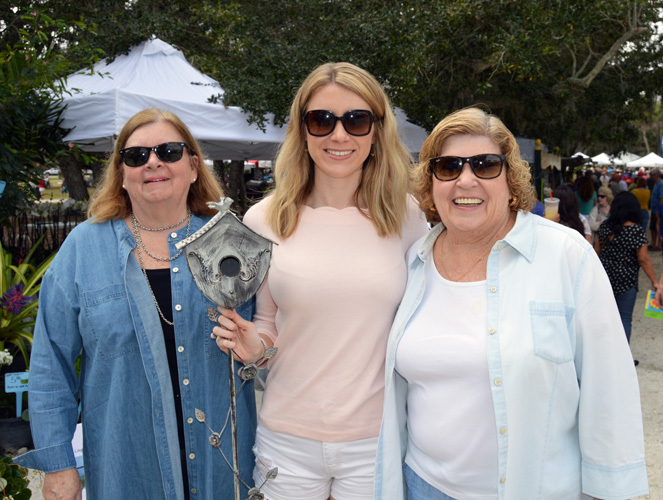 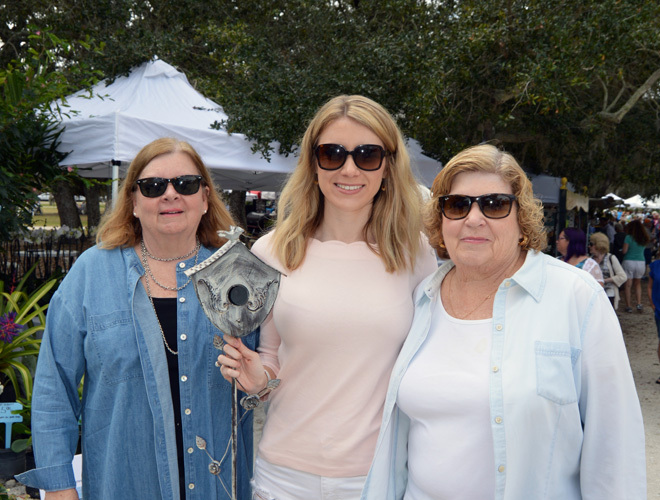 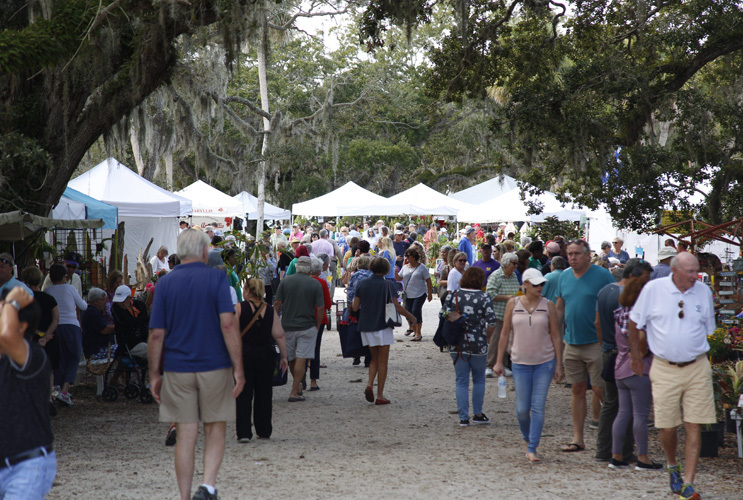 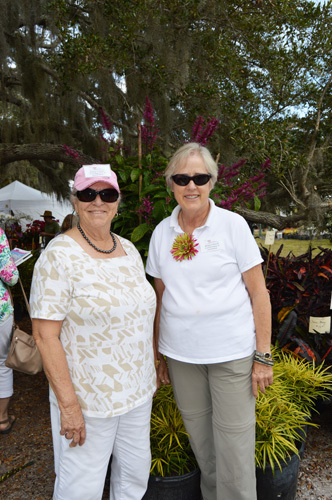 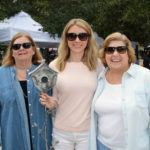 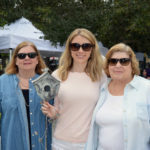 As the festival was free, many attendees supported the Garden Club by purchasing raffle tickets for more than 100 donated prizes. 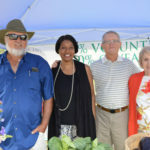 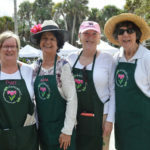 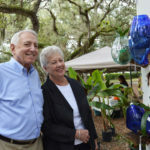 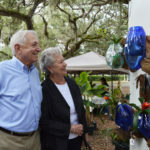 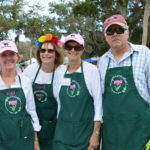 The mission of the Garden Club of Indian River County, which celebrated its 80th anniversary last year, is to educate the public in gardening, horticulture, floral arrangement and landscape design; beautify the community through civic projects; and assist in the protection and conservation of native plants and natural resources. 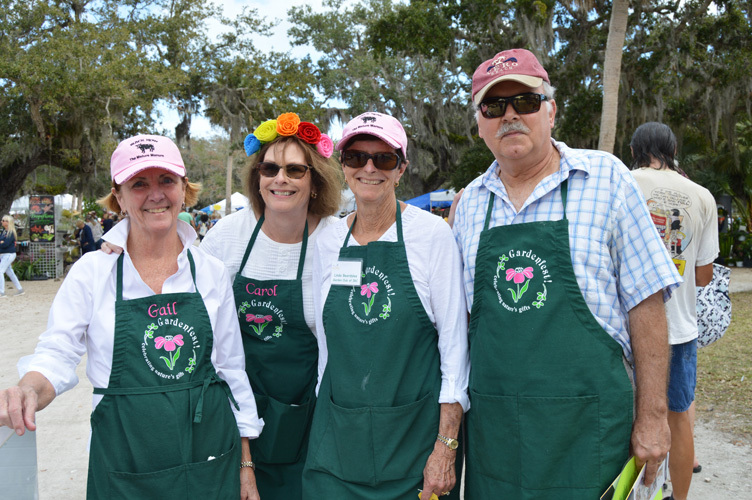 For more information, visit gardenclubofirc.org.